Celebrate Kiehl’s 6th Anniversary of LifeRide — a twelve-day motorcycle ride to raise funds for HIV/AIDS research and help find a cure in our lifetime. We’re donating up to $150,000 to amfAR, The Foundation for AIDS Research, and from August 4th –15th, LifeRiders will stop at Kiehl’s stores along the way. Click on each stop for information about the day's events. Not near the route? For the past six years, Kiehl’s, amfAR, and our LifeRiders have traveled more than 12,000 miles to support amfAR’s effort to find a cure for HIV/AIDS. As of 2015, we have donated $1,200,000 to amfAR, which has funded 7 cure-related research projects. Follow the ride with live feeds from the road. Use #LifeRide6 to show your support. We invite you to join us in donating to amfAR during LifeRide. Your tax-deductible contribution directly supports amfAR’s life-saving HIV/AIDS research. Join the ride and support the fight to find a cure for HIV/AIDS with Ultimate Strength Hand Salve. 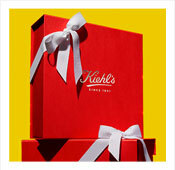 For each limited edition sold, Kiehl’s will donate 100% of net profits, up to $25,000, to amfAR, the foundation for AIDS research. otal Kiehl’s donations to amfAR through this year’s LifeRide are $1,270,000, which have been used to fund 7 cure-related grants! Get your exclusive copy of our Limited Edition LifeRide book at your local Kiehl’s store!